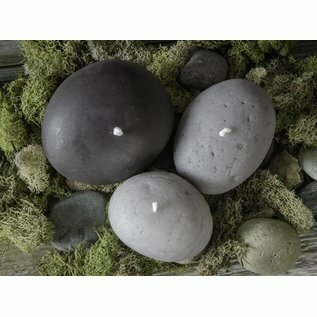 These original-design candles resemble the round smooth beach rocks we find when beach combing along the New England coast. 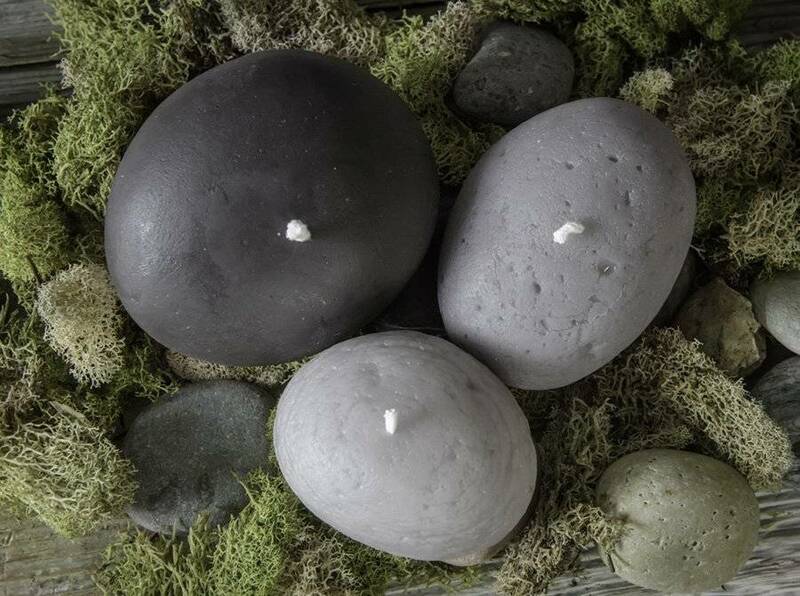 Our beach rocks come in a variety of muted Maine beach colors and add some coastal charm to any home décor. "It was in March of 2012 when I realized I wanted to make a change and move to Maine. It all started when I reunited with my longtime cherished friend Julius. Like magic we realized that we wanted to continue our journey through life together. At the time, I was living in the Lowcountry of South Carolina with a great career in the retail industry and preparing to settle down near family after being gone for so many years. As the saying goes, timing is everything! Julius and I decided that we must take the next step. I decided to take a visit to the quaint coastal town of Kittery Point, Maine, where Julius has made his home for many, many years. During that visit his mother told me about a candle company for sale. It seemed too good to be true and I wanted so badly to believe this could work. It wasn’t until meeting the former beekeepers and creators of Bartram’s Beeswax Candles that I knew this was the ideal fit for me at this momentous time in my life. In May of 2012, Bartram’s Beeswax Candles was sold to me and the company became Seapoint Chandlers. The name is inspired by Seapoint Beach, where Julius and I walk our beloved basset hound, Lola. Chandler was Julius’s grandmother’s maiden name which means candle maker. Immediately it clicked and the Maine candle dream was born. My artisan spirit ignited. And the rest, as they say, is history."